Healthcare reform, a slow economic increase, and an enemy that refuses to go away dominate the first years of the decade as America struggles to find its footing from the economic collapse of 2008 and the international troubles of terrorism and the mideast. 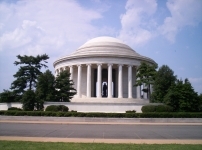 Photo above: Jefferson Memorial. 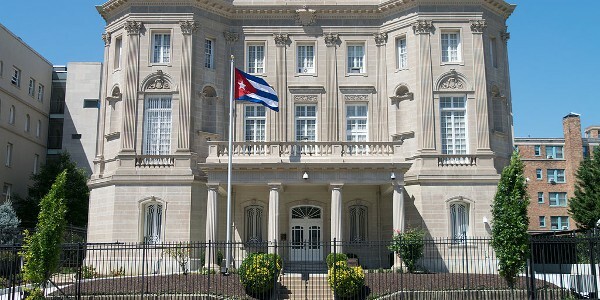 Right: Cuban Embassy in Washington, D.C., 2016. 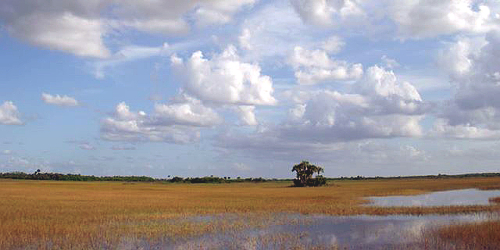 Courtesy Wikipedia Commons. January 19, 2010 - Scott Brown, a Republican reformer from Massachusetts, stuns the nation with an upset win for the special election Senate seat. He is the first Republican elected to the Senate from the state since 1972 and only Republican member of the Massachusetts Democratic congressional delegation. His election puts a halt to the 60 seat Democratic super majority in the Senate and will prevent President Obama and the Democratic leadership from pushing legislation in future votes past a Republican filibuster. March 25, 2010 - The U.S. House of Representatives finalizes the Health Care legislation approved by the Senate, extending health benefits and insurance to most Americans. The legislation, the Affordable Care Act, passed on a partisan basis by the Democratic Majority, has caused a significant rift within the public, who disapproved of the bill, and is expected to test the Democratic Party's hold on both houses of Congress during the mid-term elections in November. April 1, 2010 - The U.S. Census of 2010 is conducted, showing a 9.7% increase from the 2000 census for a total of 308,745,538 people. The geographic center of the population is now 2.7 miles northeast of Plato, Missouri. April 20, 2010 - A British Petroleum deep water oil rig explodes in the Gulf of Mexico, causing the largest oil spill in the history of the United States, killing eleven workers, and devastating the environment. It also severely damaged the fishing and tourism industries of gulf states. November 2, 2010 - With an impetus from the Tea Party movement to restore fiscal sanity to Congress and various state houses, Republican candidates win the majority of elections, taking control of the U.S. House of Representatives with a net gain of 63 seats, reducing the majority of Democrats in the Senate, and taking over many governorships and other legislative bodies. This tide was the biggest turnaround in Congressional seats since 1948, and many attribute the election to disfavor of Obama administration spending practices, including the Health Care legislation passed in March. April 14, 2011 - Congress votes to pass the 2010-2011 budget after six months of negotiations, including $38 billion in fiscal year cuts. This vote was one of the first measures that showed the new dynamic of a U.S. House of Representatives in Republican hands that was focused, due to Tea Party member goals, to get the burgeoning federal deficit under control. May 2, 2011 - Osama Bin Laden, mastermind of the 9/11, 2001 attacks on the World Trade Center, the Pentagon, and other locations and leader of the terrorist group, Al-Queda, is killed after ten years of pursuit by United States and coalition forces during a raid by U.S. Navy Seals on his hideout location in Pakistan. July 21, 2011 - The final shuttle flight lands at the Kennedy Space Center, signifying the end of the NASA shuttle space program. The program, which began in 1981 and included 135 missions, was completed when the Shuttle Atlantis flew its final mission to the International Space Station. September 17, 2011 - The first of many Occupy Wall Street protests begin in New York City, protesting the big money interests on Wall Street and their relationship to the recession and world economy. December 15, 2011 - The war in Iraq is declared over when President Obama orders the last combat troops to leave the country. May 2, 2012 - At a New York auction house, the highest payment for a work of art, the Scream by Edwin March, is paid, costing $120 million dollars. May 7, 2012 - The first licenses for cars without drivers is granted in the state of Nevada to Google. Futuristic transportation systems were first introduced in concept during the 1939 World's Fair in New York City in the General Motors exhibit Futurama by Norman Bel Geddes. 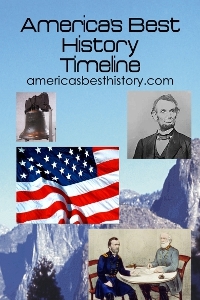 By September of 2012, three states had passed laws allowing such vehicles; Nevada, California, and Florida. September 11, 2012 - Terrorist attack on a consulate in the Libyan city of Benghazi kills four Americans, including Ambassador John C. Stevens, showing the continued fight against Islamic extremism had not abated after the Arab Spring uprisings in the Middle East and deposing of dictators such as Muammar Gaddafi. October 29, 2012 - Hurricane Sandy, taking an unusual track up the East Coast and coming to landfall on the New Jersey coast near Atlantic City and Long Island coasts of New York creates significant damage to coastal towns as well as the boroughs of Manhattan and Staten Island, to the estimated cost of $65.6 billion. The hurricane, at its peak a Category 2 storm, was the largest storm in recorded history by diameter at 1,100 miles. 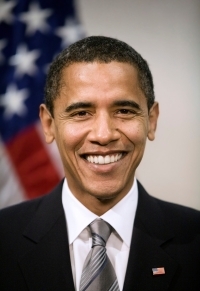 November 6, 2012 - President Barack Obama wins a significant victory, 332 electoral votes to 206, for his second term in office against Republican challenger and businessman Mitt Romney. Congress remained status quo with divided government as the House of Representatives remained in Republican hands and the Senate in Democratic hands. February 12, 2013 - Using a 3-D printer and cell cultures, American scientists at Cornell University grow a living ear. April 15, 2013 - Two bombs explode near the finish line of the Boston Marathon, killing three and injuring hundreds in a terrorism attack coordinated by two brothers associated with radical Islam. The attack caused the shutdown of the city as police and federal officials searched and apprehended the suspects within four days of the attack. May 17, 2013 - Congressional hearings begin on the IRS scandal of group targeting that began two years prior. The Internal Revenue Service is accused of targeting conservative groups for additional scrutiny in tax status matters, including groups like the Tea Party, whose stances include lower taxes and smaller government, plus other patriotic and religious organizations. This breach of protocol from a government agency where all U.S. citizens file taxes has caused concern from both Republican, Democrat, and independent political groups. August 28, 2013 - One hundred thousand visitors throng to the Lincoln Memorial and the National Mall in Washington, D.C. for the 50th anniversary commemoration ceremony of Martin Luther King's “I Have a Dream" speech. Speakers at the anniversary include two former presidents; Jimmy Carter, Bill Clinton, and current President Barack Obama, the first African American to hold the office. 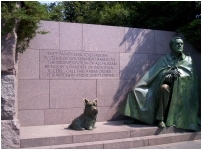 Nearly 250,000 people came to the original speech in 1963. October 1, 2013 - The Affordable Care Act, Obamacare, begins registering people for the expanded federal government health insurance program despite a variety of waivers and problems in implementing the cumbersome rules and regulations of the program. Various states have decided to allow the federal government to run the exchanges for them, while some states and the District of Columbia set up their own exchanges to sell the policies. January 1, 2014 - Obamacare, the Affordable Care Act, goes into affect for millions of Americans, the largest expansion of the social welfare state in decades. Over 7.3 million join the system, some due to cancellations of existing healthcare policies; others due to subsidies provided by the government. Premiums for policies see large increases due to expansion. February 26, 2014 - Only days after hosting the Winter Olympic Games in Sochi, Russia, the Russian Federation annexes the Ukrainian territory of Crimea, causing widespread condemnation, a temporary suspension of Russia from the G8, and limited sanctions by the United States. Russian expansionism becomes a topic for the first time since the end of the Cold War in 1989. June 5, 2014 - Rise of ISIS in a large amount of territory in western Syria and northern Iraq cause western nations to confront another round of Islamic fundamentalism. United States and some allies begin campaign to degrade their effectiveness with a bombing campaign on September 22. September 30, 2014 - First case of Ebola is certified in the United States, an outcome of travel from the country of Liberia and West Africa where the virus has spread to 22,000 people and killed 9,000. November 4, 2014 - Midterm elections see large increase in Republican lawmakers with expansion of their majority to 247 seats in the House of Representatives and the taking over of the majority in the Senate with 54 seats. This will cause the Obama administration to deal with a Congress now controlled by the other party for the final two years of his term. April 25, 2015 - Riots begin in Baltimore after the death of Freddie Gray, a black man, in police custody. This incident, coupled with others at the end of 2014 in Ferguson, Missouri, and more in 2015, would lead to the creation of the Black Lives Matter movement and discussion of police brutality in poor, minority, and violent neighborhoods and the appropriate response of police when confronted with danger and issues on how to secure the public good. June 6, 2015 - American Pharoah becomes the first horse in thirty-seven years to win the Triple Crown of horse racing with his victory in the Belmont Stakes. June 16, 2015 - Billionaire businessman Donald Trump joins a crowded field of Republican candidates seeking the nomination for President in 2016 and almost immediately rises to the top of the polls on a populist message, surprising pundits and critics. Expected frontrunner on the Democratic side, Hillary Clinton, takes quick lead in the polls. July 20, 2015 - Full diplomatic relations are reestablished between the United States and Cuba for the first time in fifty-four years. September 22, 2015 - Pope Francis makes his first visit to the United States, holding services in Washington, New York City, and Philadelphia. This was the first papal visit to the U.S.A. since Pope Benedict XVI in 2008 and only the fourth pope to ever visit the United States. December 2, 2015 - Islamic Terrorist inspired act in San Bernadino, California kills fourteen and follows a brutal attack against citizens in Paris in November. These attacks and others are fueled by the continual rise of ISIS in Syria, Iraq, and other countries around the world. April 7, 2016 - American Idol, the seminal music competition that set the record for eight straight seasons, 2003-4 to 2010-11, as the Number One show on television, ended its fifteen year run. The television show was one of the most successful shows in television history, peaking in 2006 with over 31 million viewers. June 12, 2016 - Terrorist attack in Orlando, Florida, with fifty killed and fifty-three wounded, continues ISIS and Radical Islamic terrorist inspired attacks throughout the world, including major attacks in Ankara, Instanbul, Brussels, and Nice. November 2, 2016 - Chicago Cubs win their first World Series since 1908, defeating the Cleveland Indians 4 games to 3. They rebounded from a three to one game deficit for only the sixth time in World Series history. November 28, 2016 - Donald Trump, the flamboyount billionaire businessman from New York with no political or military experience, wins a surprising election over Democratic challenger and former Secretary of State Hillary Clinton, the first woman to run for the highest office from a major party. Electoral victory by Republican Trump, 304 to 227, with seven electors voting against their pledge, two not voting for Trump, five not voting for Clinton, contained victories in Rust Belt states Wisconsin, Michigan, and Pennsylvania. December 29, 2016 - Thirty-five Russian diplomats expelled from Washington by President Obama after national security report that Russia had been behind a hacking scandal to influence the national presidential election. Although no vote tallies were affected, the seriousness of continued cyber attacks against both democratic institutions and other major targets sends an international signal that these attacks represent a major threat in the digital world. February 11, 2017 - North Korea fires ballistic missile over the Sea of Japan, testing the resolve of the world in its attempt to develop a deliverable nuclear weapon. Throughout the year, North Korea continues its provocative tests, firing its first intercontinental ballistic missile, and other nuclear tests, prompting increased sanctions. March 30, 2017 - SpaceX, the private aeronautic firm, engages in first reflight of an orbital class rocket, which can land vertically on a platform in its goal to reduce space flight costs and initiate space tourism. June 1, 2017 - United States withdraws from the Paris Climate Agreement. August 25, 2017 - Disastrous hurricane season in the Gulf of Mexico, Caribbean, and Atlantic seaboard begins with Hurricane Harvey hitting the Houston area, causing $125 billion in damage. It is followed on September 6 with Hurricane Irma, the strongest Atlantic hurricane in history striking Florida, and on September 19, Hurricane Maria strikes Puerto Rico. Those two hurricanes cause over $150 billion in additional damages. December 22, 2017 - President Trump signs the largest tax cut and changes in the tax code since 1986 with the Tax Cuts and Jobs Act, reducing rates and simplying the tax code. April 10, 2018 - Facebook founder Mark Zuckerberg responds to a Congressional inquiry into the reason why eight-seven million customers had their private information breached by an outside British political consulting firm. By July, the market value of the firm had dropped twenty percent, losing $109 billion. June 11, 2018 - Meetings between the United States President Donald Trump and North Korean Leader Kim Jong-un become the first summit between leaders of the two nations, with discussions about North Korea giving up its ambitions for nuclear weapons. July 6, 2018 - Tariffs against $34 billion of Chinese goods go into position, with Chinese officials announcing retaliatory tariffs that could signal the largest trade war in history. November 6, 2018 - Mid-term elections result in Democratic gains of forty seats in the U.S. House of Representatives and seven governors, but lose two seats in the U.S. Senate. December 22, 2018 - Partial government shutdown begins after President Trump refuses to sign any spending package for Homeland Security that does not include border barrier funding in appropriations due to the status of illegal immigration and border security. 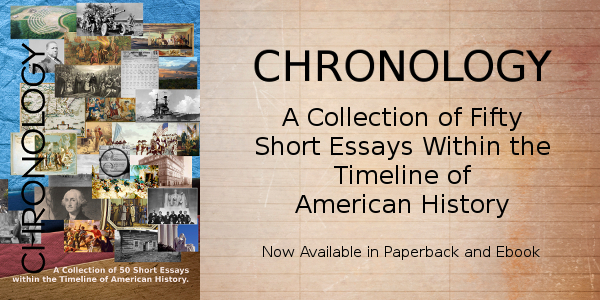 Shutdown lasts for thirty-five days, the longest shutdown in United States history. President Barack Obama. Courtesy Wikipedia Commons. 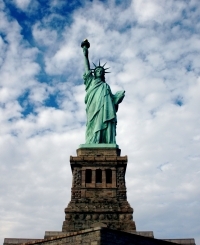 The Statue of Liberty was closed due to Hurricane Sandy until July of the next year; Ellis Island remained closed until 2014. 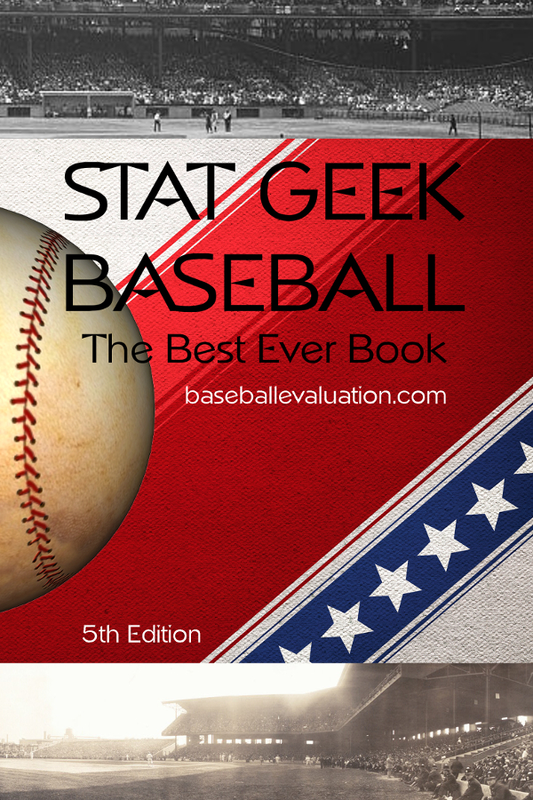 Check out our partners at Stat Geek Baseball and Baseballevaluation for a history of baseball with stat geeks in mind, including their books Fields of Gold, Baseball's Best Glove Work, and Stat Geek Baseball, the Best Ever Book.